Each winter my skin, hair, and nails become more fragile as a result of dry winter air. To combat this dryness, and make my skin much more comfortable, I use body and facial oils. 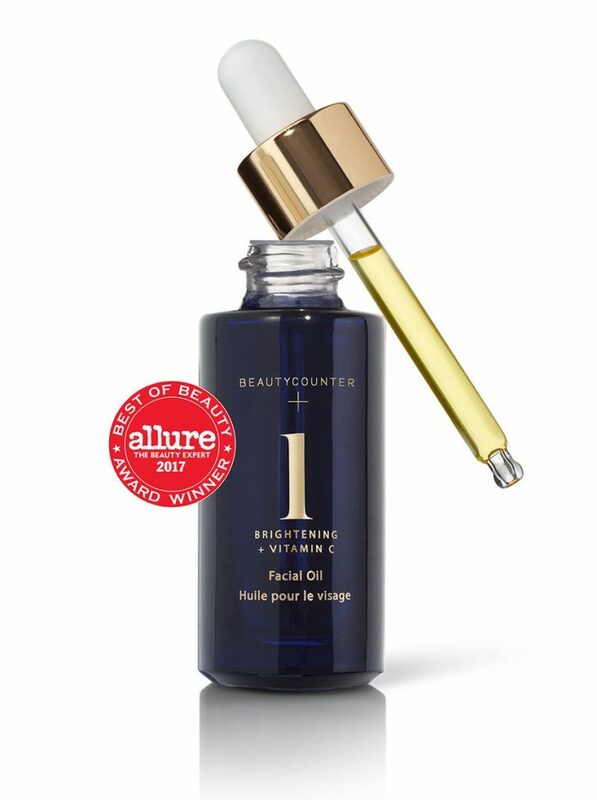 The Brightening Facial Oil from Beautycounter here is my favorite to massage into my face and neck. It is the first thing I do in my morning routine. It smells delightful and soothes and softens my skin immediately. The Body Oil in Citrus Rosemary here used after the shower and followed by or blended with body lotion makes my skin feel and look so much better. The body lotion pictured below is here. Hydrate your body by using a humidifier. Heating systems tend to remove all the moisture from the air and our bodies. It is easy to become dehydrated in the winter. More tips to avoid that dry flaking skin include following your bath or shower with the oil and lotion combo above which helps to seal the moisture into the skin. Leave the bathroom door open to let the steam into the other rooms. Grow plants indoors. Plants give off moisture into the air. Eat fresh vegetables and fruits that contain lots of water and sip filtered water all day. Avoid caffeine, alcohol and salty, processed foods which can rob your body of much-needed moisture. While the supplies last, I will include a free satin scarf and a free sample of a skin care line from BeautyCounter. What do you use on your face after you put the oil on? 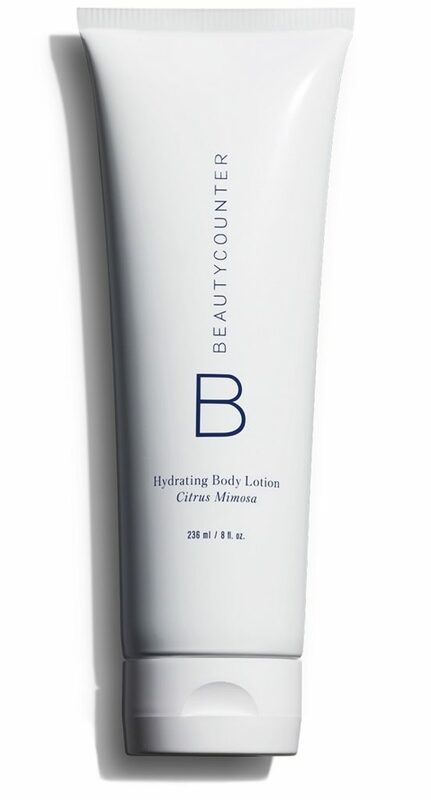 I am looking into a different line of products and am interested in Beauty Counter. I use the Rejuvenating line and the Overnight Resurfacing Peel all from Beautycounter here. My skin is in the best condition this winter that it has been in many years. I hope it helps you too. 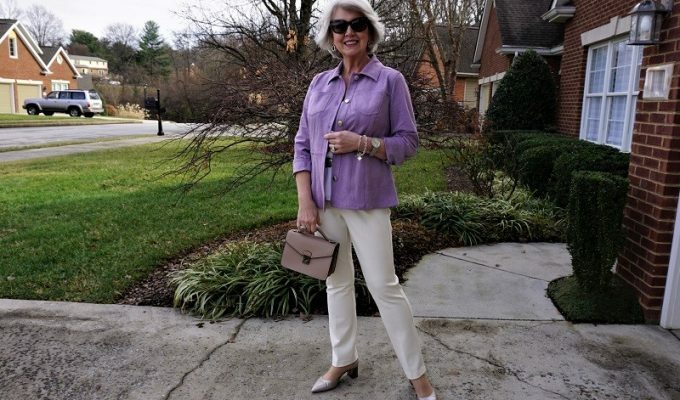 Susan you do such great things for women and keep us up on the best products to use , what clothes to wear etc. Thank you very much. I hope you don’t retire from your blog because it is so informative. I really like your blog. You are so inspiring. Thank you for all the tips. Take care. Your blog is always interesting and helpful! This winter my nails are really dry and fragile. I’m using lotions, vitamin E oil, and even soaks in warm olive oil but nothing seems to really help. I keep my nails short and seldom polish them. Can you give us any tips on nail and hand care? The best tips I can offer are to stop using harsh dish soaps and cleaners and to drink lots more water. Chapped lips and hands usually mean we aren’t drinking enough water. I worked on the Fifty Not Frumpy site yesterday, to upgrade some of the pages but I didn’t intend to publish anything. Maybe I did. I apologize.